Troubled teens from Alaska struggling with personal issues can find help and treatment from a residential treatment center or therapeutic boarding schools. Residential treatment centers and therapeutic boarding schools provide structured and highly supervised programs that assist troubled teens from Alaska struggling with behavioral and emotional issues, substance abuse and addiction problems, and learning difficulties. Liahona Academy is a residential treatment center - similar to a therapeutic boarding school - that offers many benefits and has helped troubled teens from Alaska and all over the nation. Parents can often get confused on the differences between these treatment centers and turn to Liahona Academy for answers. Call us today at 1-800-675-8101 and speak to a representative about Liahona Academy and our residential treatment center. If your troubled teen from Alaska is displaying these issues with consistency, and you feel like the situation is out of control, consider researching and looking into residential treatment centers and therapeutic boarding schools for assistance and intervention for your troubled teenage boy. There are so many programs provided at each school that has been specifically designed to match the needs and struggles that teens are having to deal with in our world today. A more commonly known example of these programs is the substance abuse treatment programs. Most of the troubled teens that visit residential treatment centers and therapeutic boarding schools struggle with substance abuse and addiction. These centers provide a safe and secure environment, away from peer pressures and the temptation of using addictive substances. This environment also helps to motivate teens to want to be clean and make positive and healthy changes in their behaviors. 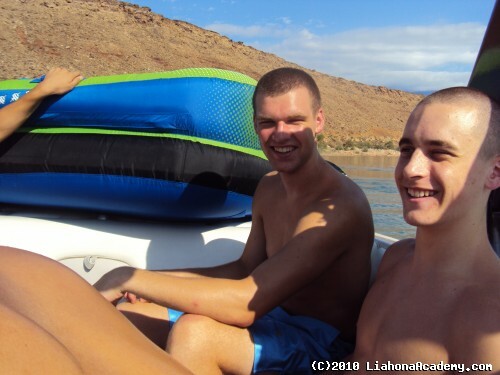 Liahona Academy is a residential treatment center and offers many benefits to troubled teen boys. Most parents will look to residential treatment centers first before seeking help elsewhere. At Liahona Academy, we help teens to focus on their personal struggles while assisting them academically. Many teens with deep struggles fall behind in school and often lose credits necessary for graduation. Our friendly and professional staff help troubled teens to get back on track in school and, sometimes, even graduate. The therapeutic programs provided have proven successful and can help in the rehabilitation of your troubled teen from Alaska. For more information on programs being offered and how residential treatment centers can be effective for your family, call Liahona Academy at 1-800-675-8101 today.